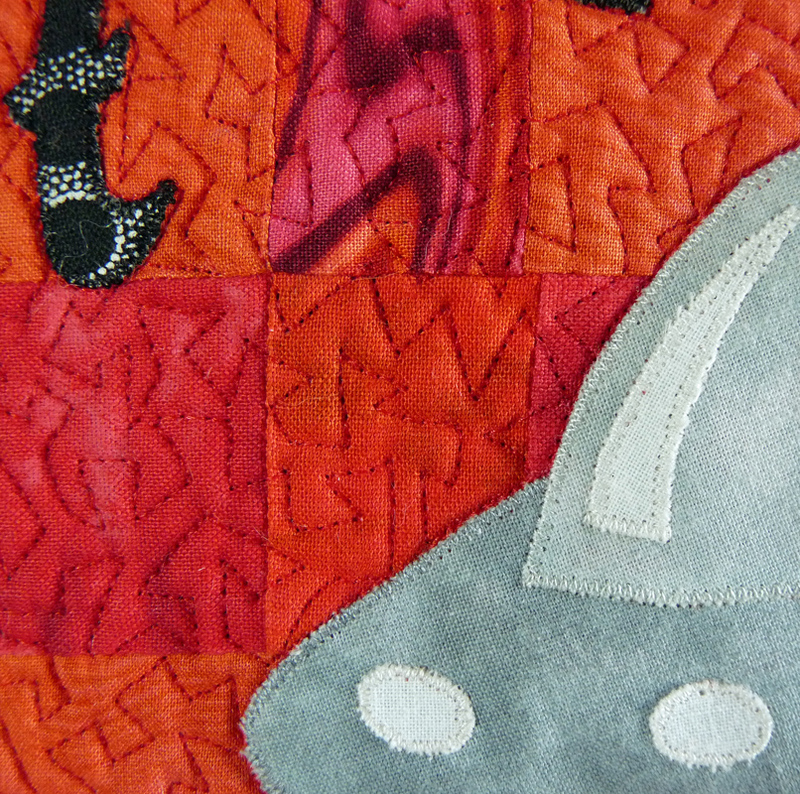 This is a comedic piece based around quilters usage of the acronym UFO. 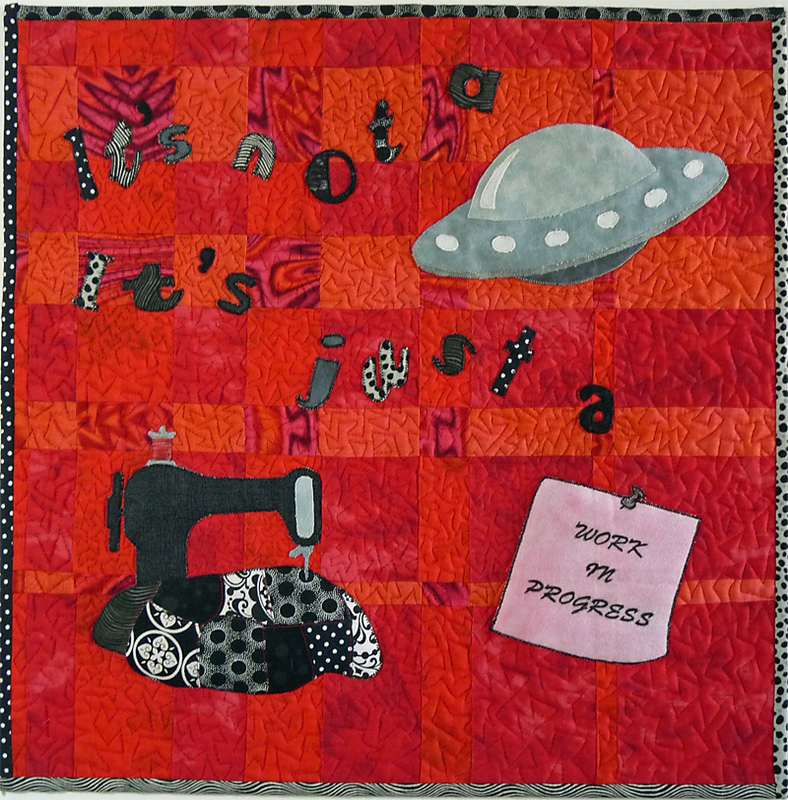 It came about as I tried to figure out a design for the more common use of “progress” and concluded it was just too big for a 15 inch square piece. I also only had a very limited time scale to work on this one. The background has been cut from a genuine UFO that I’ve had lying around for about 10 years. 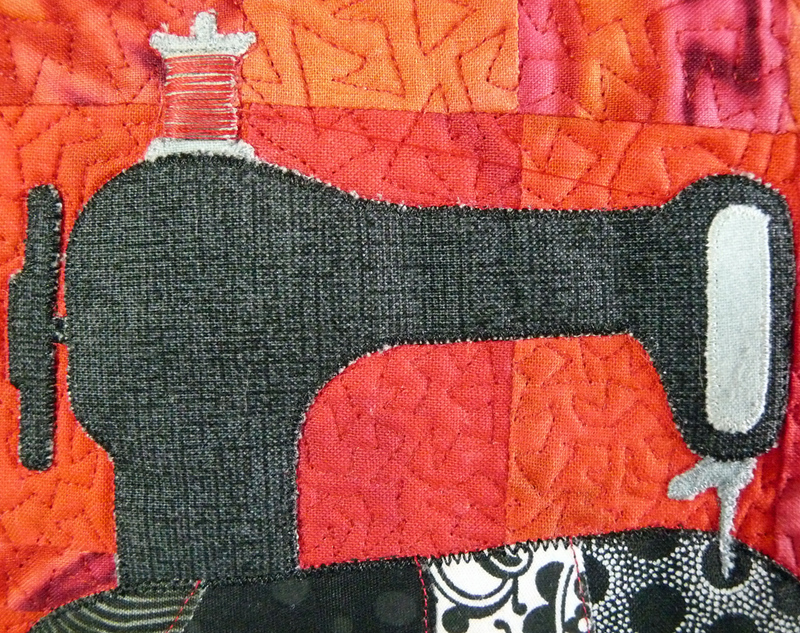 As with most quilters I’ve met when I first started quilting I was keen to attend as many classes as I could. This piece was my attempt at a Ricky Timms convergence quilt. Unfortunately my skills were not really up to the task as well as not feeling confident enough to machine quilt it so it just found it’s way to the back of the cupboard. When I moved it came with me but I knew I couldn’t use it as it was so it’s been a throw to cover my sewing m/c for the last 2 years. I decided to cut it as the background and overdye it. I chose a graphic colour scheme to enhance the poster type of design which has simply been appliqued and machine free motion quilted. The binding uses 4 of the fabrics used in the design. The thread on the sewing machine is hand sewn. I agree with Margaret. Really fun. I like it. Just love it too. Wonderful use of words and the ufo x 2. Funny we were following the same idea !